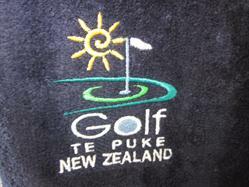 The Te Puke Golf Shop has a large range of club merchandise. 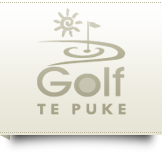 Our Golf Te Puke branded range includes shirts, caps, visors, ball markers, pitch repairers, golf balls, towels and more. Drop in to our Te Puke golf course today! Our Head Professional Nicholas Davey (also the owner / operator of the Te Puke Golf Shop) will be happy to help with any of your golf equipment queries.